Hey everyone! 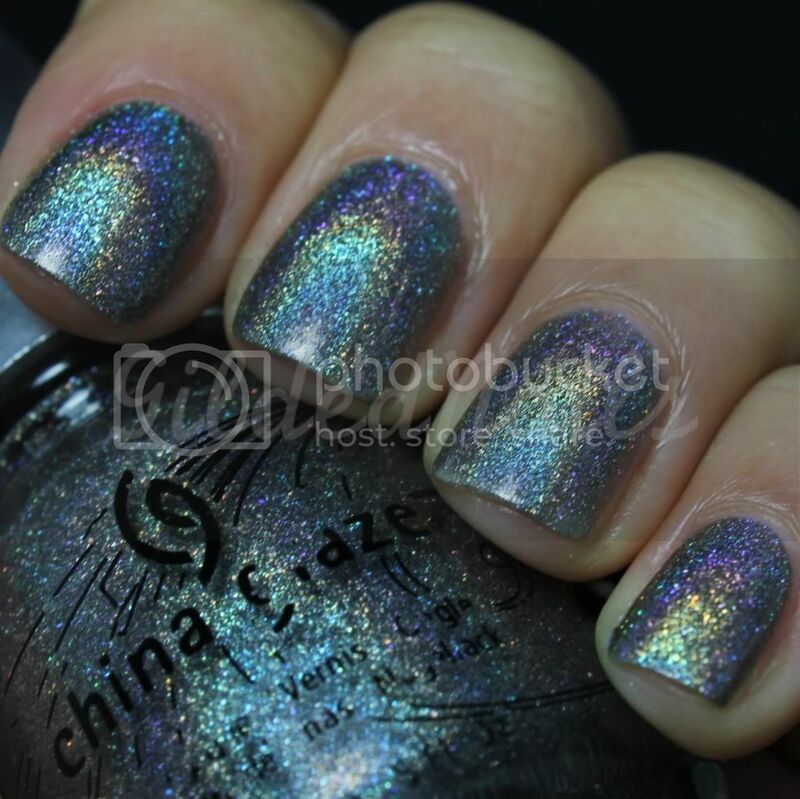 Today I have swatches of one of my all time favourite polishes, China Glaze Let's Do It In 3-D. I realised this polish was only going to get more expensive as time passed, so I decided to take the plunge and buy it! And I don't regret it at all, because it is uh-mazing!!! 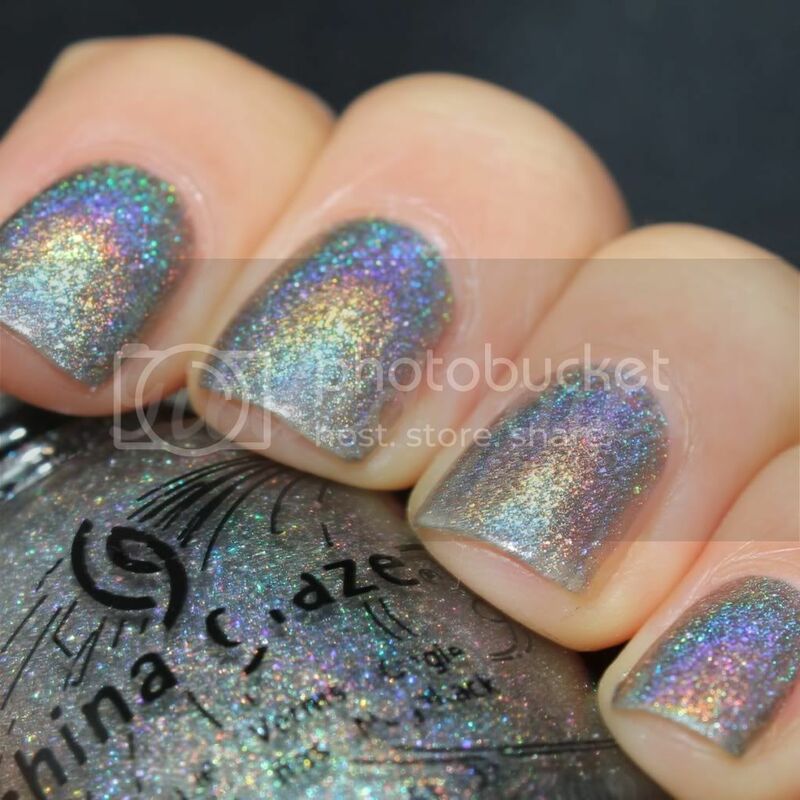 Let's Do It In 3-D has a dark grey base with a scattered holo effect. This is two coats over a coat of Nfu Oh Aqua Base. 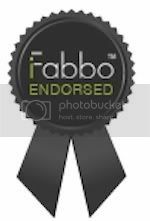 No words can express its beauty so I will let the pics do the talking! pretty! i love the multichrome effect. this color is awesome! so clubby! Cool hologram effect and what a color! Wow, can't say more. WOW ! This is gorgeous ! Omg I love it! Looks amazing!!!!! Hi, Carina, very beautiful. Unfortunately, Chine Glaze is very expensive here in Brazil. OMG this colour is to DIE for, reminds me of Gosh Holocentric but being China Glaze hopefully it will be easier to locate. Great swatches! Me too! I'm totally obsessed with holo at the moment! Oh my goodness Jeanette! You must wear it asap! It is such a gorgeous polish! Where did you get this from I'm looking for it all over the UK!! !